By Rod J. Colvin, M.S., James T. Lane, M.D. Rod J. Colvin, M.S., James T. Lane, M.D. 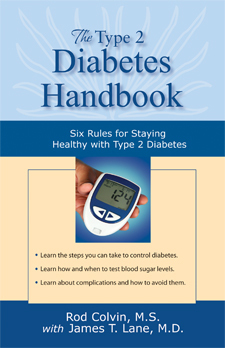 Type 2 diabetes is an epidemic in the United States. According to the American Diabetes Association, an estimated 18 million Americans have been diagnosed with the disease, and it’s believed nearly 6 million others have type 2 diabetes but have not been diagnosed. Nearly 1.5 million people are newly diagnosed with the disease annually.